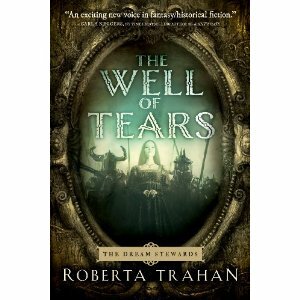 Today marks the official release of my debut novel THE WELL OF TEARS: Book One of The Dream Stewards. It was a long time coming – 10 years since the first draft was completed. All the struggle, sacrifice, and just plain hard work has finally paid off, and I am taking the entire day to revel in the accomplishment. And that is a big deal considering I am a mere 90 days away from the deadline to deliver Book Two! So far I’ve had breakfast in bed, hung out in my PJs until well after lunch, and spent several hours watching my Amazon sales rankings climb. Yet to come is dinner with friends, followed by a champagne toast with my husband. I’m sure I’ll manage to find time for chocolates, and a pumpkin spice latte somewhere along the way. These are some of the little luxuries a writer foregoes when working under contract – so while it may not sound like much to you, I am loving every minute of it. But wait, there’s more! So that the rest of you can also partake in my celebration of this momentous occasion (aka the day every writer dreams of), I am sponsoring a number of book and goodie giveaways around the web. I’ll be adding more events to the list over the next few weeks, so be sure to check back here, on my website, or on my FB fan page for updates! Facebook Fan Page Sweepstakes – Click the FB icon in the menu on the right, or click here to LIKE the page and enter to win a signed copy of the book and a goodie bag! Interview & International Book Giveaway at The Qwillery – This is one of my favorite speculative fiction blogs. Click on the badge to go to the post, and don’t forget to comment on the post to enter! And while you’re there, sign up for the Debut Author Challenge (and choose THE WELL OF TEARS, of course), vote for your favorite cover in the Cover Wars Contest (THE WELL OF TEARS, of course), and spend some time reading about lots of other great spec fic books and authors! 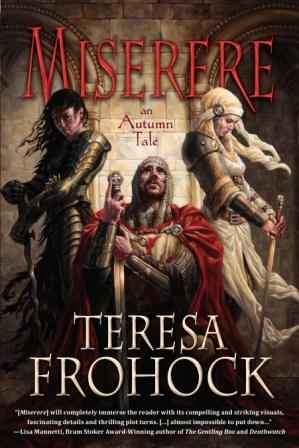 Goodreads Book Giveaway –click the link below to enter to win one of three copies, and don’t forget to add THE WELL OF TEARS to your to-be-read shelf! Giveaway ends October 10, 2012.